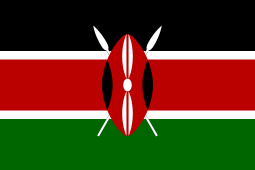 There are many monarchies in Africa, defined as either actually or nominally self-governing states, territories, or nations on the continent of Africa where supreme power resides with an individual who is recognized as the head of state. All are similar in that the sovereign inherits their office and typically keeps it until their death or until their abdication. However, only three are currently sovereign, while the remaining are sub-national monarchies. 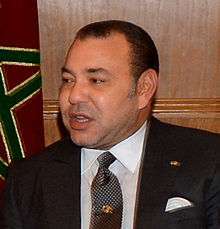 Two of these are constitutional monarchies (Lesotho and Morocco), in which the sovereign is bound by laws and customs in the exercise of his or her powers, and one is an absolute monarchy (Swaziland), in which the sovereign rules without bounds. There are also two dependencies of European monarchies. The other sub-national monarchies are not sovereign, and exist within larger political associations. The need for an identity prompted the pre-kingdom settlements of West Africa and the largely nomadic community in North Africa to form a state as they had the capacity, in view of the trans-Saharan trade, to support a defense establishment. Thus, a strong leadership with authority ensued as head of the community. This is stated to be the one theory for emergence of the Monarchy of Mali to around 1200s which was established by Sundjata Keita. Kingdoms of Takrur in Senegal and Kanem on the banks of the Lake Chad were founded. Apart from this indigenous development of Kingdoms of Africa, more monarchies came to be established but with foreign interventions. One such intervention was by Rome in North Africa. The Kingdom of Numidia (in present-day Algeria) came to be established around 200 BC with Masinissa as the first King; he was one of the many kings who headed a large indigenous community in the North African coastal belt who had exploited the trans-Saharan trade route for their sustenance. Rome with their tacit strategic support ensured that Masinissa took control of all the nomadic communities and they crowned him as a king. 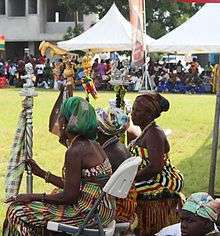 To exercise rights as a King or Queen in some cases, the Monarchy in Africa created superiority myths through rituals and symbolism, as the mediators between the Gods and the ancestors. They placed themselves in a privileged position above the common man and brought about a feeling among people that they represented peoples' interests and are above favoritism and prejudices. 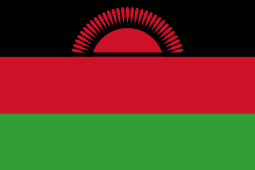 Monarchic privileges were established in the form of sovereign rights and prerogatives by way of regal costumes, ornamented crowns, jewelry, personal weaponry, and armaments, establishing special thrown or golden stools, and also building shrines for their ancestors, as was the case of Lozi of Zambia. Lesotho, an enclave of South Africa, is a constitutional elective monarchy. The current monarchy was established in 1824 when Moshoeshoe I, a tribal chieftain, united warring tribes into the Basotho kingdom. 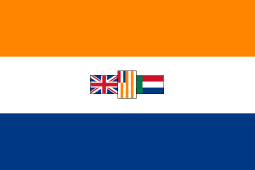 After his death in 1870, the kingdom was placed under the nominal control of the neighboring British Cape Colony, but the native tribes engaged in a revolt and full British control was not established until 1884 under the name Basutoland. While under British control, the monarchy continued under the title of Paramount Chief with a moderate degree of autonomy, particularly in the rural areas. 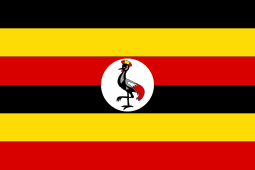 Formal independence was granted in 1966 and a constitutional monarchy was established. However, the democratically-elected government was overthrown in 1970 by the Prime Minister in a self-coup. The monarchy was sidelined from then on, including a military government between 1986 and 1993, when democracy was restored. The current monarch, King Letsie III, ascended to the throne in 1996. Swaziland, in the southeastern corner of Africa, originated, like Lesotho, as a confederation of African tribes. However, it pre-dates Lesotho by approximately seventy-five years to the mid-eighteenth century. During that time period, chief Ngwane III of the Swazi people moved his tribe to their present location and united with other African tribes. Beginning in the 1830s, British traders and the Boers, Dutch settlers, interacted with the Swazi tribe. Eventually, the illiterate Swazi were duped into signing treaties which ceded their land to the Boer Republics, who assumed control in 1894. In 1902, after the Boer War, the British assumed control of Swaziland. It was not until 1967 that the Swazi regained control of internal affairs. 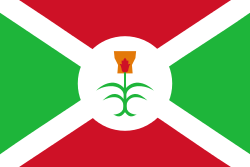 Independence was granted the following year. For most of the colonial period, the Swazi were ruled by Sobhuza II, who became King upon independence. In 1973, Sobhuza abolished the democratic constitution put in place at the time of independence and declared himself the absolute ruler. Upon his death in 1982, Sobhuza had reigned for eighty-two years, the longest verified reign of any monarch. 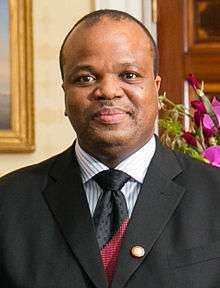 The present ruler, King Mswati III, became monarch in 1986. A new constitution was established in 1998 which allowed for some degree of democratic rule, but, in practice, Swaziland remains an absolute monarchy and the ability of citizens to participate in the political process is limited. Ceuta and Melilla are two cities on the northwestern coast of Africa bordering Morocco. Both were originally founded by the Carthaginians and later fell under successive Roman, Vandal, and Byzantine control before being conquered by the Arabs in the eighth century. Ceuta, in particular, served as the base for the Moorish conquest of Spain during that time period. In 1415, Ceuta was conquered by the Portuguese, with Melilla falling to the Spanish in 1497. When the kingdoms of Spain and Portugal united in 1580, Ceuta also came under Spanish control and has remained Spanish ever since. During the Spanish-Moroccan War, both cities gained additional territory to expand to the present boundaries. 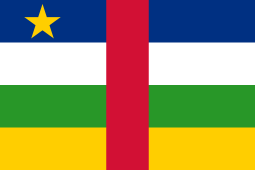 Autonomy was granted to both cities in 1995. Today, Morocco still claims that the two cities are part of Moroccan territory, which has created tension between the neighboring countries. A series of sub-national polities exist as constituencies of a number of the 51 remaining sovereign states of Africa. Traditional authority is vested in the monarchs of these constituencies by virtue of customary law as a general rule, although some of them also enjoy either a constitutional or a statutory recognition of their titles in the states that play host to them. Such figures as the Nigerian traditional rulers and the Zulu King of South Africa typify the class. ↑ "The Kings of Africa: 18 Portraits by Daniel Laine". TwistedSifter. Retrieved 4 January 2016. ↑ Mfonobong Nsehe. "The 5 Richest Kings In Africa - page 1". Forbes. Retrieved 4 January 2016. ↑ Mfonobong Nsehe. "The 5 Richest Kings In Africa - page 2". Forbes. Retrieved 4 January 2016. 1 2 3 John Middleton (1 June 2015). World Monarchies and Dynasties. Taylor & Francis. pp. 108–. ISBN 978-1-317-45157-0. ↑ "Lesotho : Constitution and politics". The Commonwealth. 4 October 1966. Retrieved 10 January 2016. ↑ "About Lesotho". Government of Lesotho. Retrieved 7 January 2016. ↑ "Lesotho: History". Commonwealth of Nations. Commonwealth of Nations. 2016. Retrieved 7 January 2016. ↑ "Constitution of Lesotho". Constitute. Constitute Project. Retrieved 7 January 2016. ↑ "Morocco". The World Factbook. Central Intelligence Agency. 2015. Retrieved 7 January 2016. 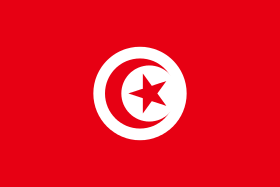 ↑ "Constitution of Morocco". Constitute. Constitute Project. Retrieved 7 January 2016. ↑ Saxon, Wolfgang (23 August 1982). "KING SOBHUZA OF SWAZILAND DIES; REIGNED 82 YEARS". The New York Times. Retrieved 8 January 2016. ↑ "Swaziland: History". Commonwealth of Nations. Commonwealth of Nations. 2016. Retrieved 8 January 2016. ↑ "Canary Islands". The Columbia Encyclopedia (6th ed.). Encyclopedia.com. 2015. Retrieved 8 January 2016. ↑ Kadi, Wadad; Shahin, Aram A. (2013). "Caliph, caliphate". The Princeton Encyclopedia of Islamic Political Thought: 81–86.